Is the fall of Lebanon’s “Hezbollah government” headed by Najib Miqati on the night U.S. President Barack Obama was closing out his visit to Israel, the West Bank and Jordan another nail in the coffin of Syrian President Bashar al-Assad’s regime? Learned opinion suggests it is. Miqati announced the resignation of his Hezbollah-dominated cabinet after it blocked approval of a commission to oversee planned parliamentary elections and procedures to extend the term of Internal Security Forces chief Ashraf Rifi. Rifi and the Internal Security Forces have been in the gunsight of Hezbollah and its allies since the arrest last August of former government minister and Syria’s playmaker in Lebanon Michel Samaha. Samaha was caught red-handed by Rifi’s second-in-command Wissam al-Hassan while smuggling explosives into Beirut from the Damascus office of Syrian Security Chief Ali Mamlouk in an attempt to destabilize Lebanon. Samaha’s arrest led to Hassan’s swift assassination in October. Within two months, the U.S. Treasury and State Department concurrently named Samaha as a “Specially Designated Global Terrorist” working on behalf of the Assad regime. While in Israel, Obama washed away some of the personal tension that existed between him and Prime Minister Benjamin Netanyahu, which in turn builds the necessary capital for coordinating with him on Iran and pressing him on the peace process and the two-state solution. Obama said Israel and the U.S. agreed on the threat Iran posed, and the goal – to prevent Iran from acquiring a nuclear weapon. He said there was, however, still time to achieve this diplomatically. He also succeeded in prodding Netanyahu to ring Turkish Prime Minister Recep Tayyip Erdogan and agree to end their three-year rift caused by a deadly Israeli commando raid on a Turkish ship bound for Gaza. Following Obama’s visits to Israel and the West Bank, the Palestinian Authority was granted access to almost $500 million that was frozen by U.S. Congress for months. In Amman, the U.S. president pledged to Jordan an extra $200m to help it deal with the growing number of Syrian refugees in the country. To his mind, the pointers and consequences are three each. Arab and international players hostile to the Syrian regime have been taking concrete steps, politically and on the ground, to ratchet up pressure on Damascus. For instance, they (a) frustrated (dialogue) initiatives by opposition figures such as Moaz al-Khatib (b) challenged provisions in the U.S.-Russian entente for a political solution in Syria (c) elected the prime minister of an interim government to take charge of Syria’s worldwide interests (d) trained and armed fighters with qualitative weapons in Syria, Turkey and Jordan in anticipation of a decisive battle against the regime within the coming three months. 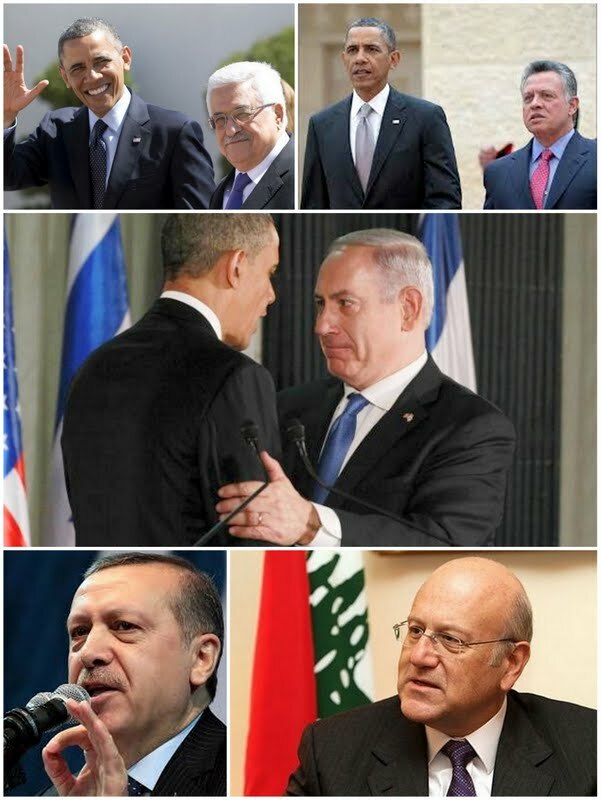 The outcome of Obama’s visit to the region, where he urged the Palestinian Authority president to keep praying (for a two-state solution), pressed the king of Jordan to toe the anti-Assad line and called on Israel to reconcile with Turkey and to refrain from moving against Iran, Syria or Hezbollah. The three anticipated consequences of the aforesaid: (1) Security strains in Lebanon and along the Syrian-Lebanese borders (2) A chance that Hezbollah would take its eyes off the ball of helping the Assad regime (3) Political chaos in Lebanon and definite deferral of the parliamentary elections slated for June.